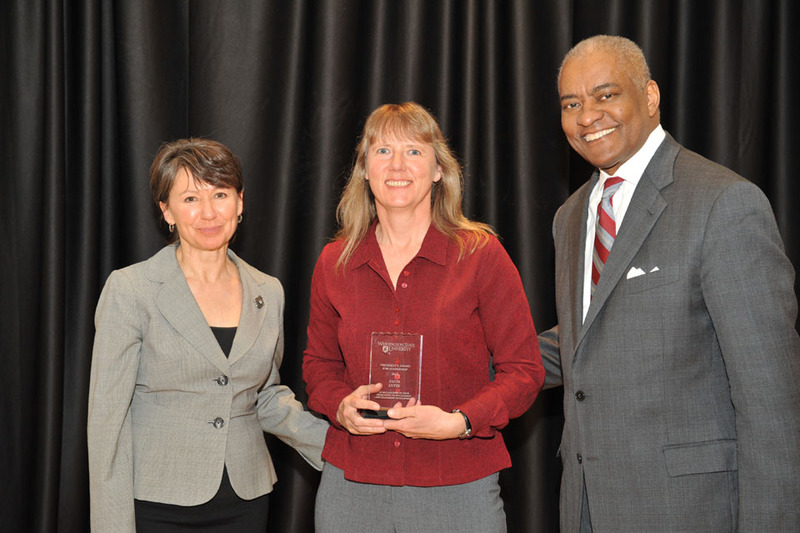 Faith Lutze received the 2013 WSU President’s Award for Leadership for her extensive work centered on connecting students with community partners to enhance civic engagement and reduce violence in our communities. Through the Prison Debate Project and Community Service Learning in her courses, she provides students with the opportunity to work directly with community partners that endeavor to reduce violence and enhance the well-being of our communities across the state. Through her emphasis on community engagement, students have volunteered thousands of hours to work with victim advocates, children’s programs, food banks, law enforcement agencies, homeless prevention programs, as well as other service providers to translate what is learned in the classroom to professional and community action.